Natasha delivers an exceptional lesson experience and ranks in the top 15% of our teachers nationwide. 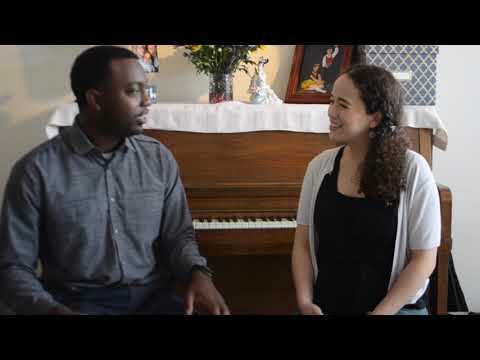 Everette recommends Natasha's voice and piano studio to everyone! -My voice student Kelly H. appreciating our work together. An early recording of my second year as an opera student. The teacher is very good and explains the concepts well to my daughter who has never had a lesson. I highly recommend working with her if possible. Instructor was very informative. She went at a great pace for me as a beginner piano player. I learned alot for just the first lesson! Natasha looks very knowledgeable and she is great with kids she gave my son a private lesson and that's went great she do funny things to make the lesson fun while she gives the information so it will be easy to memorized. Natasha is a great inspirational young lady! Natasha is very supportive and what I love about Natasha she gives you so much support in music and so many great vocal techniques! I’m excited to see Natasha at my opera and as well recital at SMU. Thank you Natasha! Hi my name is Marco. I've been with Natasha for a year already and she's amazing vocal opera teacher. I admire Natasha and I want thank her for showing me the right path to take. Natasha is very passionate about music, and sharing that passion with others through teaching. She is very supportive and will adjust the lesson to your skill level. I look forward to learning more from her! Natasha is a knowledgeable and experienced theory instructor and great at helping you warm up and feel comfortable while teaching piano lessons. She is very passionate about her work and I can't wait for my next lesson. The most kidness, sweet and friendly teacher I have ever met. I highly recommend her! She is super professional and her teaching techniques are the best. Also, I encourage all parents to bring their children with her because she is one of the best singing teachers you can find in Texas. We highly recommend Natasha as a music teacher. She is very positive and encouraging in teaching voice techniques to children. The reward system she implemented is effective in motivating kids to follow-up with daily practice. Natasha’s approach mixes very clear directions with an original plan of incentives to encourage kids and adults to persevere and get results. Her passion shines through her teachings and is very inspiring. Natasha is a wonderful, patient, innovative and very playful piano teacher to my 8 year old daughter. I can see her improve and grow in leaps and bounds in the past year in her musical journey. She very sweet and awesome instructor. She very caring and enthusiastic about teaching. Natasha is such a great teacher. She is so patient, gentle and kind when working with my 6 year old boy. I was surprised by the complex pieces he could play so early on. Natasha is a great teacher who makes learning how to both read and play music very fun, exciting and rewarding. I definitely look forward to becoming a better musician under her tutelage. Great teacher! She helped me with sight-singing, resonance, pitch accuracy, and even the emotional aspects of delivery. Her lessons were tailored to my level and my needs--nothing too remedial nor too advanced, and appropriate style--and there was clear progression and improvement. Highly recommended! My husband gifted me a package of singing lessons with Natasha. Needles to day the one package was not enough. I enjoy her classes so much I had to keep coming. She is patient, encouraging, professional and knows how to help and guide you individually, depending on your needs. I appreciate her patience and kind words through my lessons. She is also a kind person who donates her time for free music lessons where she spread her music passion to the community. I took piano lessons as a child and had a very strict and rigid teacher. Because of that, I didn’t really enjoy playing. I didn’t play at all for several decades until this year when I decided to give it another try. I am so lucky to have met Natasha. If you are serious about learning how to play the piano, I highly recommend Natasha as your piano teacher. Ms. Natasha taught our five year old. She was so patient and kind with her; she really understands how to work with children. Thanks so much! Natasha is a great instructor who is passionate about her students and every facet of music. Very well rounded instructor with extensive knowledge of music and how to apply to the piano. I adore Natasha. She is patient and talented. I know I’m in good hands with her. Ms. Natasha has been teaching our daughters piano lessons for more than a year, she does an excellent job with the girls, she is very patient, thorough and detailed and works her best to perfect their skills. My daughters love having her as their piano teacher! My son has been taking piano lessons for over 4 years with different instructors and Ms. Bekkar is by far the best instructor that he has had. She is quite thorough in her teaching of classical piano, from playing it, to teaching sight reading to teaching music history. We are very fortunate to have our son studying with her and highly recommend her. Love taking piano lessons with Natasha! She's so patient and knowledgable about the material. She makes the pieces easy to understand and keeps me challenged with new pieces that are fun to play. Additionally, she'll give me a brief history on composers and the time period in which the piece was composed which I enjoy. Strongly recommend her to anyone interested in starting to play piano or coming back to it after some time. She is extremely knowledgeable and very patient. Really an amazing teacher who does a great job at explaining techniques and the theory behind the music you are learning. I started piano lessons with Natasha one and a half years ago as a total adult beginner. I’ve taken over fifty lessons now, and the amount of progress I’ve made under her speaks not only to her tremendous ability as a teacher, but also to her dedication, enthusiasm, and encouragement she gives to all her students. Every single lesson I learn something new and I look forward to where I’ll be in another one and a half years. Natasha is straightforward and fun to work with. I have been taking private vocal and piano lessons and because of her patience and attention to detail I have progressed tremendously. She is by far the best teacher I have ever had! My 7 year old daughter takes piano lessons from Natasha once a week. She has has gone from reluctant beginner to enthusiastic learner in such a short amount of time. What my daughter has learned in just under a year is astounding. We have referred several people to Ms. Bekker and will continue to point people in her direction. Natasha not only teaches notes and music, but also history and theory, and ALWAYS with patience, kindness, and constant encouragement. My daughter and I both highly recommend! My son (7yr) has been taking piano lessons from Ms. Natasha for 1 1/2 years. Natasha is a great teacher. She is very patient and encouraging with kids. Each week we come away with a feeling of great accomplishment but also another new challenge to tackle. I feel that I've improved immensely in the past month that I've taken voice lessons from Natasha. She is extremely kind and positive throughout the lessons and my confidence to sing has grown greatly. As a classically trained violinist with a degree in Music Education (from UNT). Natasha has been by far, the best teacher and vocal coach I have ever had. Under her tutelage, I really do feel that I've made some excellent vocal improvement over the past 6 months. She is a wonderful and enthusiastic person who is not only succinct in her pedagogical approach, but, also knows how to motivate you even when you are in doubt of yourself. She has given me confidence in my vocal ability and really takes her art form of singing seriously. I would absolutely highly recommend her! I have been taking lessons from Natasha for almost a year now. She is an outstanding teacher and caring person. I have learned a great deal and look to more in the future. I’ve had multiple teachers and Natasha is by far the best I’ve ever had. She takes great care in designing lessons and self-study material. She teaches in an encouraging and helpful manner, I look forward to lessons every week! Over the last 15 months I have taken over 50 lessons with Natasha. As an adult re-leaning piano I was a little nervous but immediately she made me feel comfortable, utilizing my previous experiences and my progression to challenge me continuously. She is so patient and will keep motivating you to reach your goal, whatever it may be. Natasha also writes everything down which is really helpful for review and shows her true knowledge of music theory and application. I highly recommend her as a piano teacher. I am the better for it! Natasha was very helpful and very friendly. She is a very knowledgeable instructor and I look forward to working more with her. Outstanding. I have had four lessons and I am very pleased with Natasha. Great teacher.Knows very well how to teach to our rather shy daughter. I'm new to piano and Natasha has been great! I've had 4 lessons with her as of this review, and I'm happy with my progress so far. Natasha explains technique, and musical theory in an easy to understand way. She's also really patient and encouraging. As an adult re-learning to play the piano, I was nervous to start piano lessons. Natasha put me right at ease. I love that she starts with music theory and how she helped me break many bad habits I have picked up over the years. I would recommend Natasha to any one of any age for piano lessons. Natasha is an excellent piano instructor. 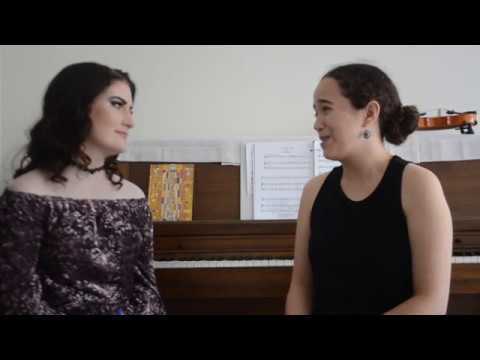 She helped me make the connection between music theory and playing as well as how to make the music sound more musical. She is also very flexible in terms of scheduling, which helps greatly. Highly recommend her! When I had my first lesson with Natasha in October 2016, I was looking for a teacher who could show me what I was doing wrong with my voice. She has done much more than that. She is teaching me about breathing and how to control my sound. I was scared to sing because I didn't know if what was going to come out was going to be good, but she helped me realize that singing is not about that. It's about knowing how to go for it and prepare for each new part as it presents itself IN THE MOMENT. I have never felt so confident about singing in my 26 years experience and I can't wait to see what new heights I can reach as I keep singing for the Lord. Thank you Natasha! Natasha is the best teacher I have had! Before her, I had gone to 3 different teachers to learn piano and she really helped me by breaking things down. She is patient, kind and caring. I would recommend anyone to work with her. She also started giving lessons to my 4-year-old boy Jason and he gets so excited to go to piano lessons that I have to run after him when we pull up to her place. Honestly, I think I couldn't have asked for a better teacher.